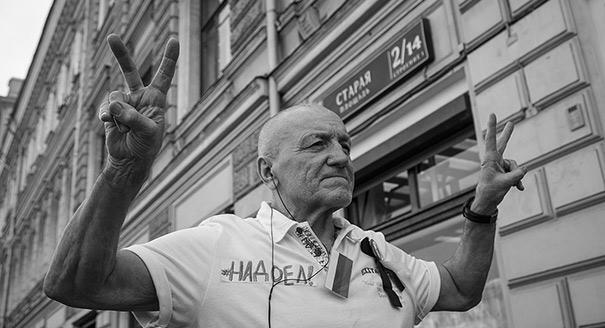 Russians do not express an overwhelming desire for change. Few understand how it could occur in their country. But most recognize that Russia cannot move forward without reform. In Russia, hoping for change often appears to be a lost cause. The public’s social expectations are seldom high, and they often get what they expect: very little. But Russia’s upcoming March 2018 presidential election and the start of a new political cycle—even a purely formal one—provides a strong impetus to reconsider whether there is mass demand for change and what that means. The Carnegie Moscow Center teamed up with Russia’s independent Levada Center to organize the “We’re Waiting for Change” project. Together, our two organizations took an all-Russian quantitative poll measuring public support for reform. Its results are instructive, painting a picture of a country where hope for change and concrete understanding of reform seldom coexist. As of August 2017, attitudes toward reform were split evenly: 42 percent of Russians supported decisive, large-scale change, while 41 percent favored minute, gradual improvements. However, contrary to the standard narrative, Russians do not perceive change as inherently threatening—only 11 percent wanted no change at all. But the majority of the population lacks a clear grasp of specific steps that might improve the situation. Generalized hopes dominate public opinion: a slightly higher standard of living, increased wages, and more affordable goods in the stores. These respondents frequently said that the government should “take care of people” instead of “talking about it on TV,” “filling their pockets,” and “helping other countries.” At times, they expressed a sense that the state had abandoned the public and didn’t want to look after its citizens. As a rule, economically disadvantaged segments of the population tend to support radical reforms. More successful social strata, for the most part, would prefer gradual change. The youngest Russians also want change, but less than the populace as a whole. For this reason, the belief that they are the vanguard of modernization is likely unfounded. 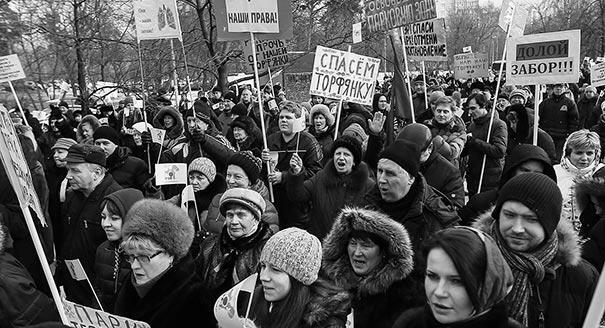 Muscovites expressed the most substantial visions for potential reforms. They believe that improvements in the social sphere and judicial reform are both necessary. A third of Muscovites—twice the national average—consider improving the quality of state services and government support for business to be important reforms. And every fifth Moscow respondent noted the necessity of guaranteeing free and fair elections. However, on the whole, demographic groups varied only slightly. More educated citizens capable of meaningfully discussing the potential direction of reforms are actually smaller in number than many expect. And they are the only ones under the impression that political reforms are necessary. Individual respondents spoke of the “changeability of power,” “independent courts,” and “inviolable property rights.” However, even these people had no intelligible vision of a reform plan. These discussion group members often viewed increasing state payouts, subsidies, and credits and controlling prices as adequate means to achieve their goals. Such views represent dissatisfaction with the current state of affairs and a conviction that the government has irreversible responsibilities to its citizens. But they lack any clear conception of next steps. National surveys show that Russians have heard almost nothing about the reform programs of former finance minister Alexei Kudrin and Russia’s commissioner for entrepreneurs’ rights Boris Titov. These politicians were mentioned less than 1 percent of the time when respondents were asked to name people who could offer an appealing reform plan. In fact, up to 60 percent of respondents were unable to name any politician up to the task. This is unsurprising. In Russia, the entire discussion of national development bypasses the people and is left to professionals. The echoes of expert discussion that do reach the general public tend to come through independent media channels, but their regular audience seldom exceeds 10–15 percent of the country. Participants in Moscow small-group discussions wanted to see step-by-step reform action plans. One respondent described this to be “like an Excel spreadsheet,” not realizing that these programs already exist, but are shown exclusively to state bureaucrats and officials. In Moscow, the focus groups had a neutral attitude toward Kudrin. But even the nominal liberals were careful in their evaluations. They didn’t like his proposals to raise the retirement age. Other than that, they knew little about his program. Opposition leader Alexei Navalny is also on the list of potential reformers. Contrary to popular belief, the anti-corruption activist is not just a Moscow politician. He is also popular in large cities and urban areas with between 100,000 and 500,000 inhabitants. He wins support among more successful demographic groups—people with higher education, the 25-to-39 age cohort, individuals working in managerial positions, and regular internet users. In the last two years, Navalny has successfully captured the majority of the democratic parties’ electorate. However, not being allowed to register his presidential candidacy and his complete absence from state TV have hindered Navalny’s popularity growth. Still, supporters value Navalny not just for his political platform, but also for his investigations into corruption and his trips to the provinces. The mere fact of his existence in a political system devoid of alternatives is more important than his specific suggestions. Nonetheless, the dominant public view in Russia remains that if anyone will accomplish reforms, it is the current regime (although the Moscow focus groups expressed skepticism on this issue). With few alternatives, the majority of respondents placed their hope for change in Vladimir Putin. And they often forgave him when he was unsuccessful. 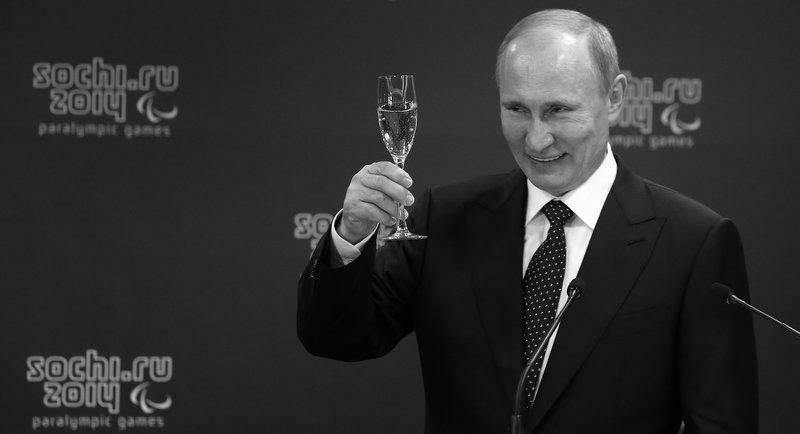 As one focus group participant noted: “Neither Putin, nor anyone else—not even Jesus Christ—could come right now, wave a magic wand, and solve all the problems.” Additionally, Putin “cannot be moved”—a phrase that denotes the underlying, often unspoken sensation of authoritarianism and demonstrates the public’s passive acceptance of the existing system. This is the long-standing model: Putin embodies the hopes of each disparate societal group. He is the main liberal, nationalist, imperialist, and socialist. Thus, many view him as the main reformer, too. This creates the impression that the most desirable and convenient scenario for everyone would be to change everything without changing anything—which requires no sacrifice, risk, or even effort. The regime will supposedly change on its own. Only it never happens. The citizens with the most faith in the president’s reform capabilities are moderately successful individuals hoping for minor improvements. This may, in part, be because most people considered middle class in Russia (state employees, civil servants, bureaucrats, security forces, state corporation employees) owe their well-being to the state. As realists, they don’t ask for the impossible: alternative reformers. Russians are also clearly concerned about the cost of reforms. They are ready for adjustments, but not at their own expense and, ideally, without their active participation. Respondents were least ready to agree to a reduction in social benefits or an increased retirement age. They are most ready for technological changes. Some are also ready to accept co-payment (together with the government) for healthcare services, but not that many: 28 percent agreed to such a reform, while 66 percent rejected it. Taking all this into account, Russians hardly express a clear desire for change. However, the majority of citizens—even the “post-Crimea, pro-Putin majority”—also recognizes that, without change, it is impossible to move forward. Or even stand still. Russian Society Wants Change—But of What Nature?